When you think of underage or all-ages music venues, numerous unlicensed 1960s dance clubs for teenagers come to mind and later successes like Wellington’s Last Resort and Auckland’s Island of Real or The Venue, which was owned by a young Russell Crowe. 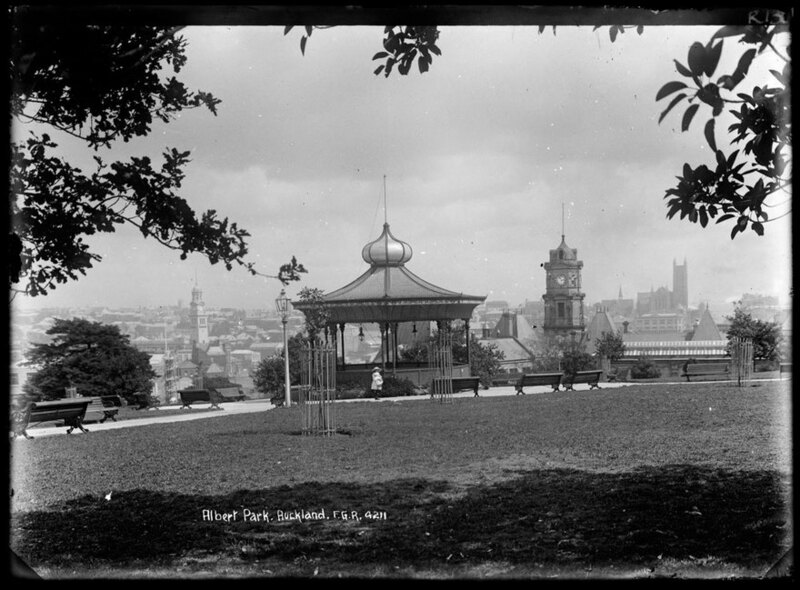 But the all-ages venue that has hosted the most New Zealand bands does not have a roof – it is in fact a park, Auckland’s Albert Park. It is the ideal underage venue, as what parent would not allow their child to go to a park on a Sunday afternoon? 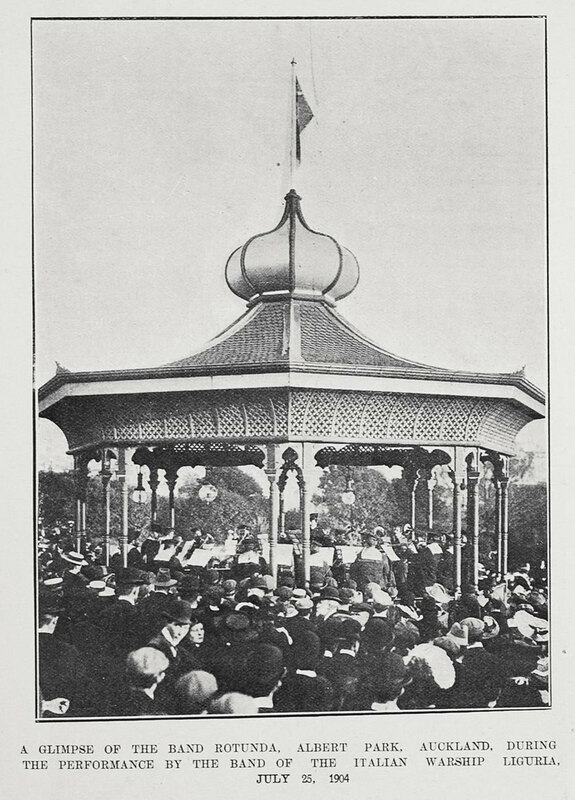 The use of Albert Park for people to congregate has rankled the Auckland City Council over the years, as the park is rightly considered to be a heritage area. Giant veteran trees and the nearby 19th Century merchant houses are precious heritage – but it is a tough old park, with flower beds designed with soccer balls in mind, as the park is also the University’s front lawn – the higher school of learning’s playground. 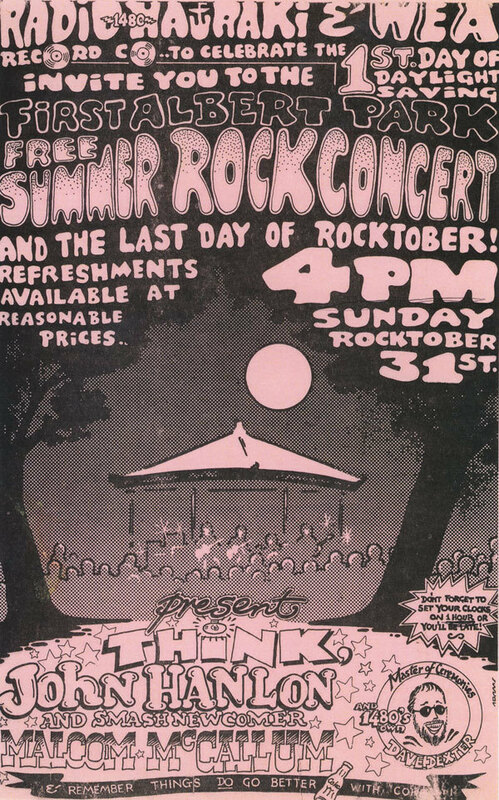 Rock concerts first took place in 1969, when the anti-Vietnam war protest movement sought a bigger place to congregate than the designated free speech zone, Myers Park – the antipodean answer to the Hyde Park, London tradition of open-air political debate. 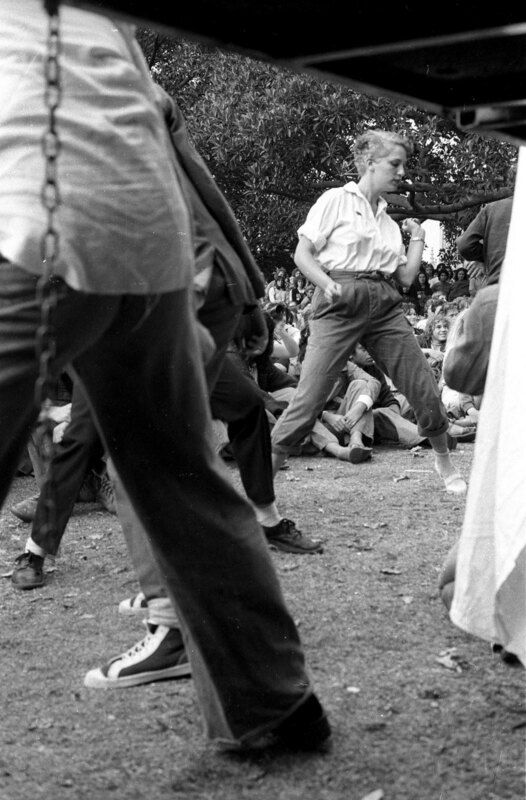 The thousands of people that participated in the “Jumping Sundays” that liberated the park forced the police and the council to back down. 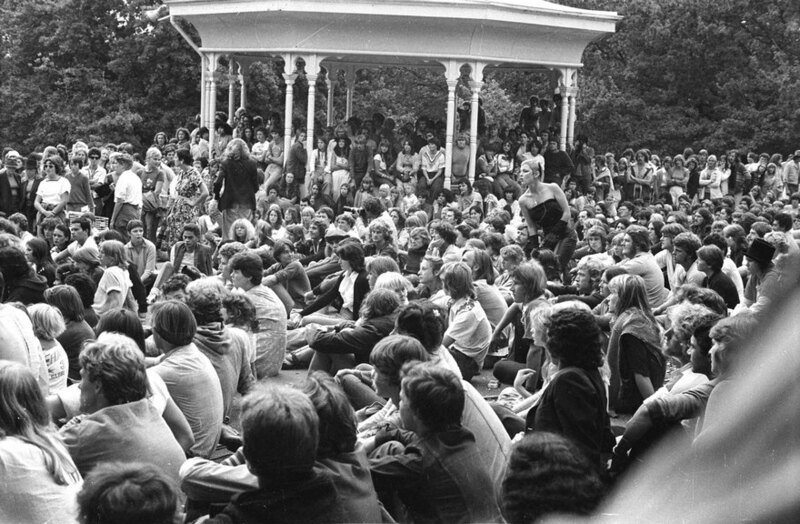 The council erected a “free speech” podium (it’s still there) opposite the University clock tower, counter-culture events were tolerated and by the mid-1970s they allowed the use of the 1901 band rotunda for weekly Sunday summer afternoon concerts, sponsored by Radio Hauraki, featuring one or two bands. 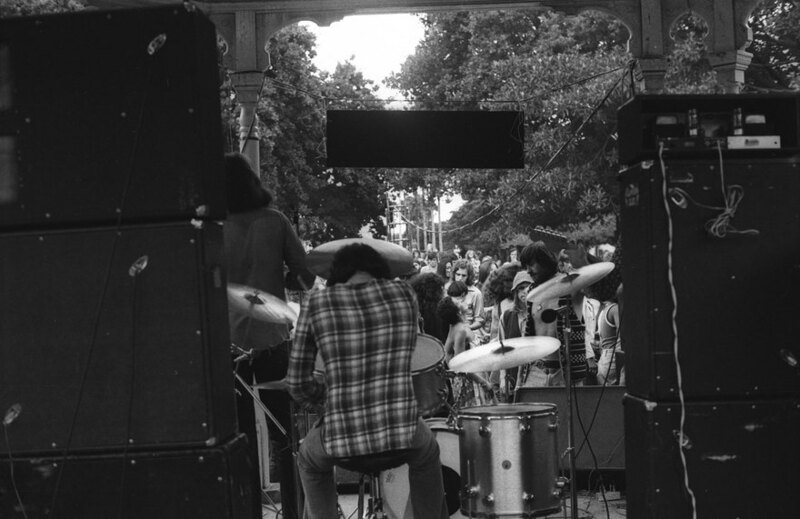 By the end of the 1970s, bands moved from the rotunda to more professional staging, such as a truck trailer. 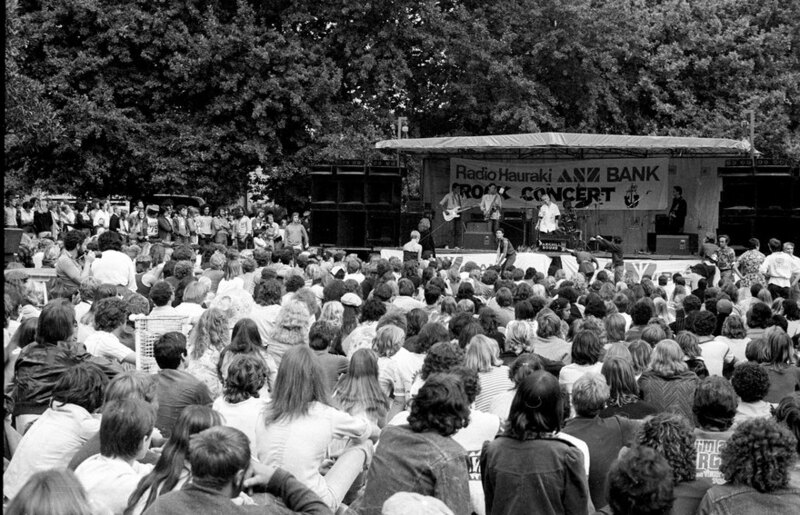 Radio Hauraki abandoned the regular park concerts in 1980. 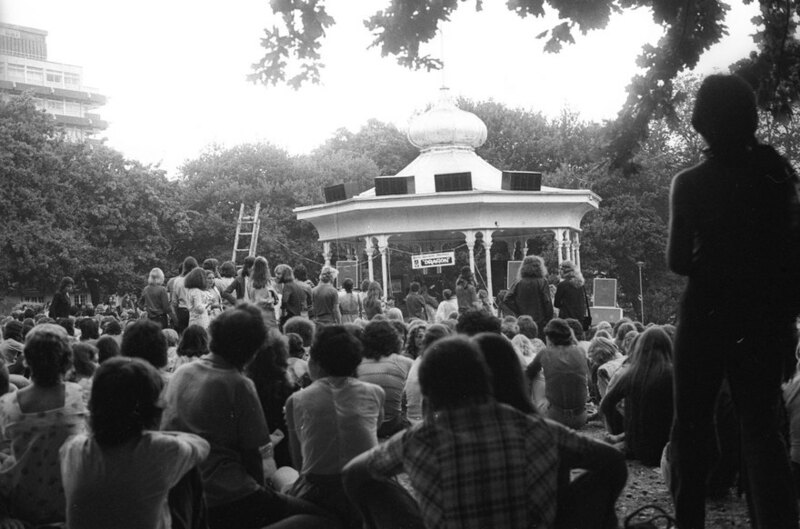 The park was used for student orientation events, occasionally by the Auckland University Student Union, but for the student radio station bFM, the park across the road was a natural home for a concert event. 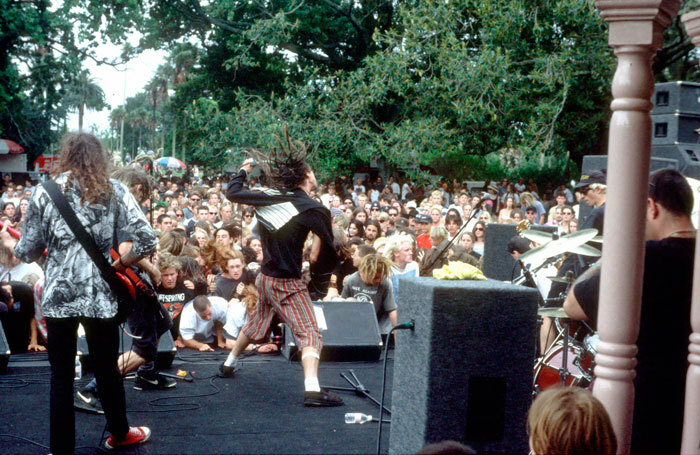 Free radio station concerts were not fashionable after the Triple M 89FM’s December 1984, Queen Street Riot debacle, but 95bFM reintroduced Albert Park concerts starting in the 1990s as annual, special events. 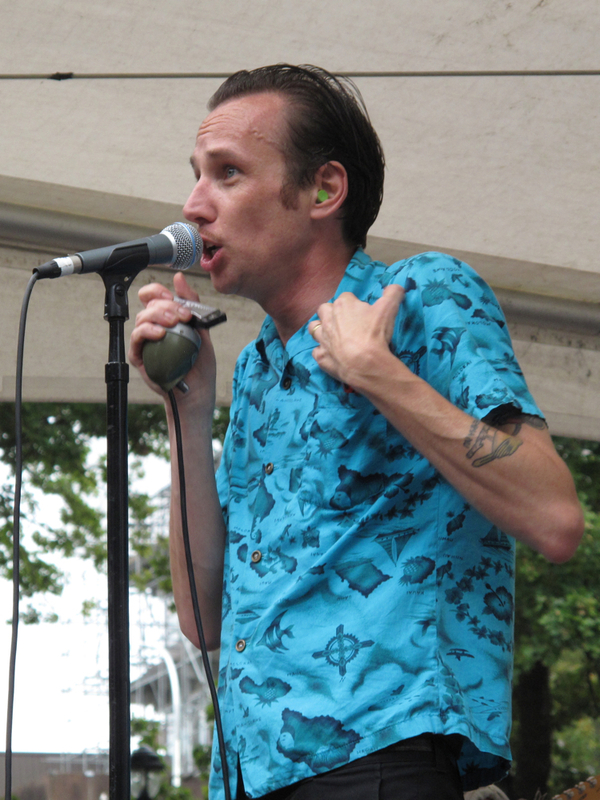 The small station would lure top music talent from Dunedin to Cambridge and also showcase local alternative and hip-hop talent that appealed to the station’s inner city audience. The Frankie E. Evans Lunchtime Entertainment Band played (and still plays) old standards like ‘If You Knew Suzie’ and ‘I've Never Seen A Straight Banana’. 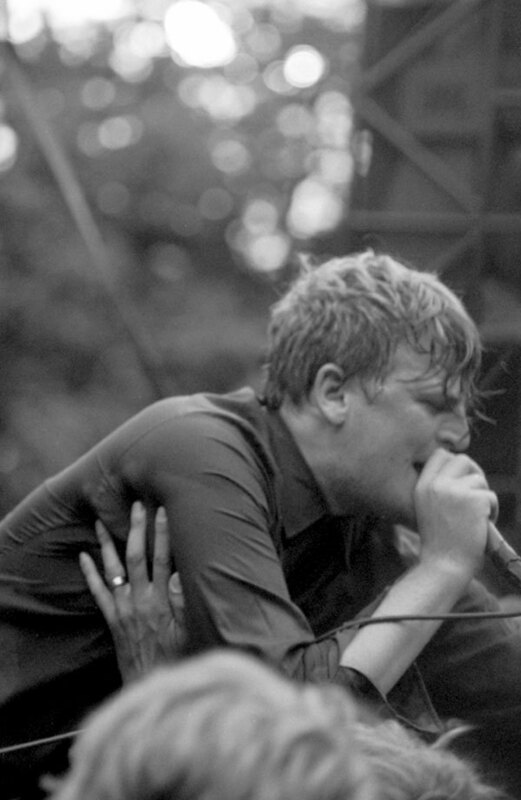 The band’s name is taken from the US destroyer USS Frank E. Evans that was cut in half by the Australian aircraft carrier HMAS Melbourne in 1969. The group returned to the park again, to play the 40th Anniversary of the Liberation of Albert Park on September 20, 2009. I recall, as a young secondary school student, going with the Rev. Morris Russell of St. Matthews in-the-City church, as I took photos and he participated in the liberation conversation. 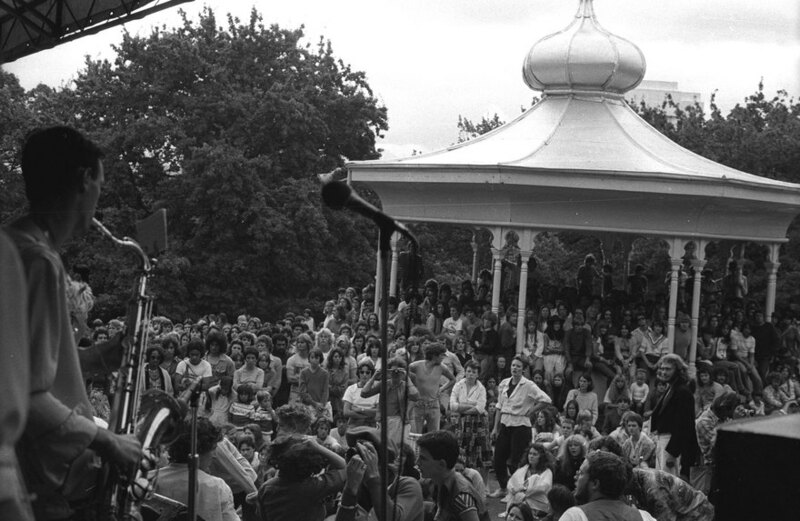 The initial idea for the Radio Hauraki concerts in Albert Park came from local promoter Barry Coburn, who in 1973 approached the station to sponsor weekly summer shows. 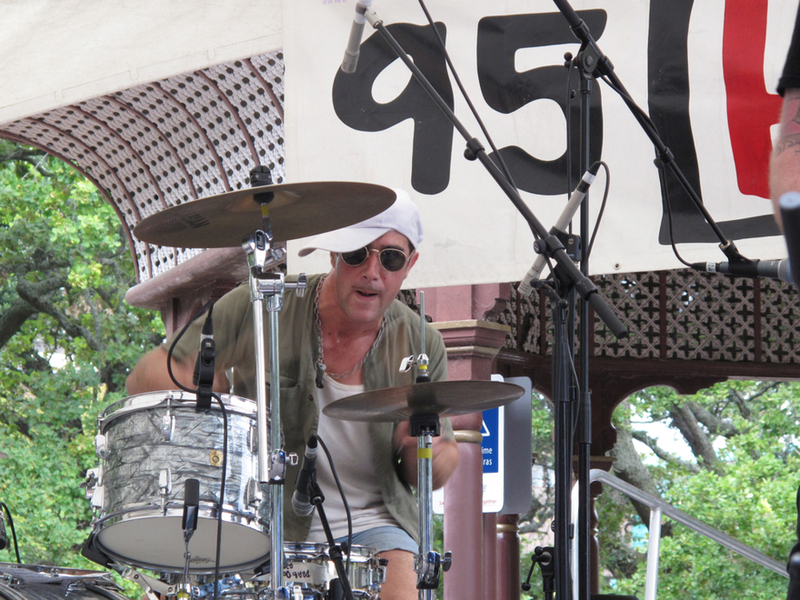 Coburn wanted to put the local artists he managed or booked (and others) in front of a sizeable audience. The collective music community memory is poor on a good day and I had to ask friends to recall who they saw play in Albert Park as no accessible documents exist. 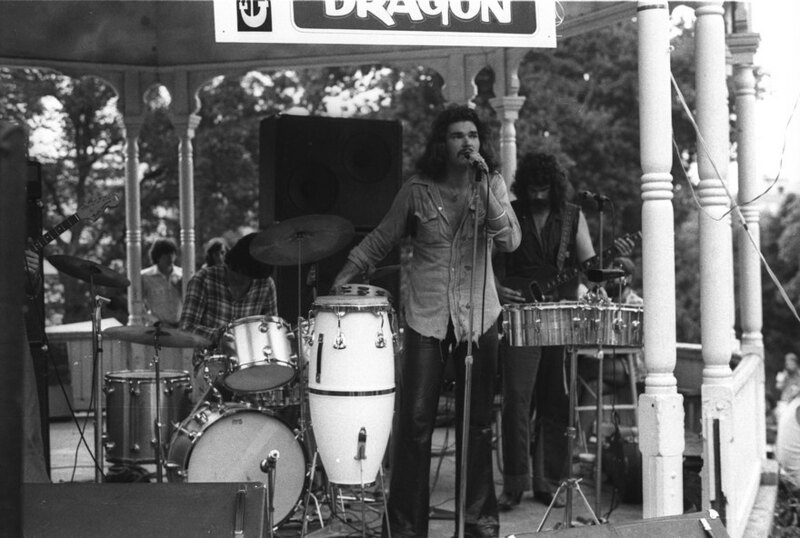 Musicians who played included Hello Sailor, Th’ Dudes, Street Talk (1975), Dragon (1975), Dr Tree (April 1975), Think, Father Thyme (March 1975), Mother Goose (March 1976), Citizen Band, Living Force, Mark Williams (probably with Face), Suburban Reptiles (February 1978), Toy Love, The Plague, Tole Puddle, Stuart and the Belmonts, Brent Parlane, Beech and Australian imports Ted Mulry Gang (1976). 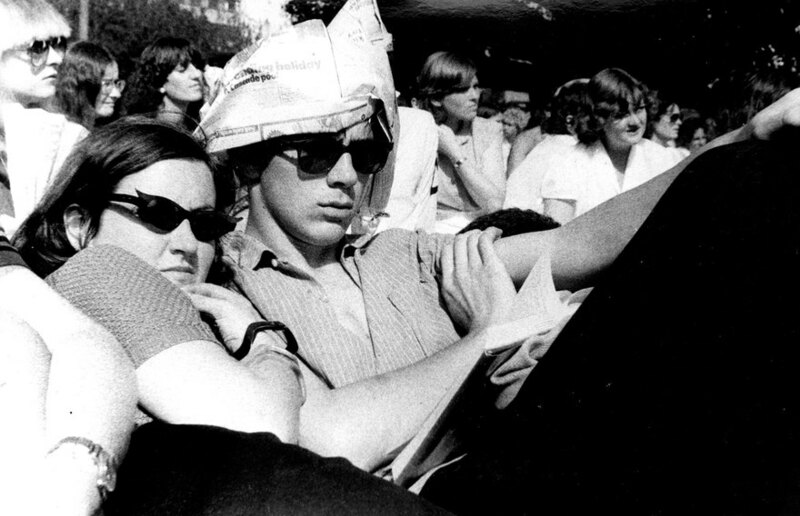 Harry Lyon remembers Hello Sailor playing the park first, in the rotunda, probably for the Students Association, accompanied by “Liz Tolley dancing and Richard von Sturmer’s Zazu Clowns”. Hello Sailor also played on a proper stage for Radio Hauraki. 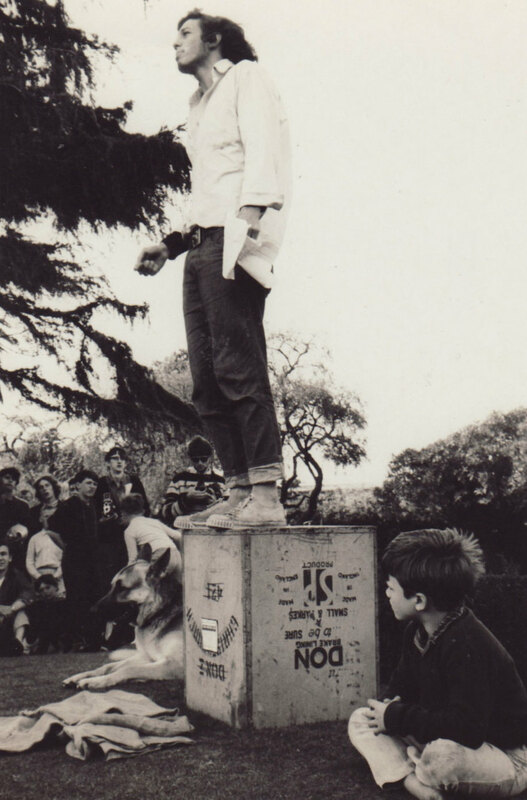 Some of the bands that punters recall playing in the park pre-date the radio station’s involvement – The Human Instinct, Mammal, Orb (Alastair Riddell), Cruise Lane, Fresh Air and Henry Jackson's Killing Floor blues band. 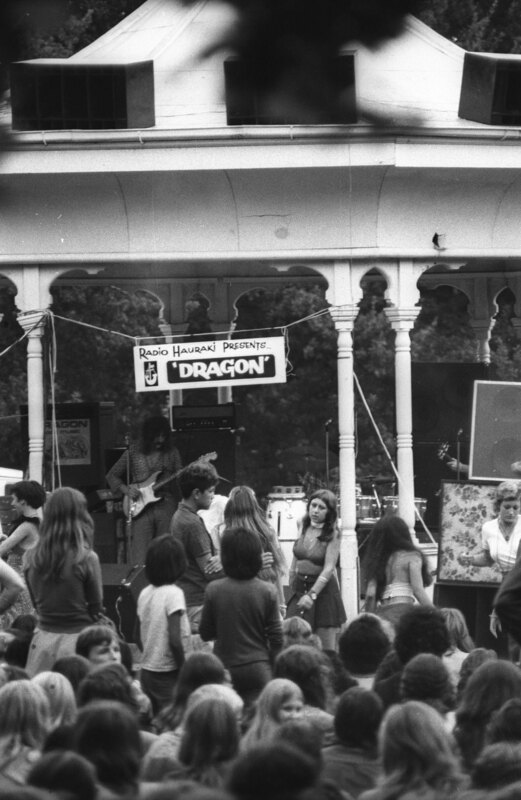 Longtime Radio Hauraki DJ Fred Botica recalls “Stewart and the Belmonts, who took their name from the Auckland Police drug squad.” This band was almost Space Waltz undercover, as in disguise were Alastair Riddell, Eddie Rayner and Brent Eccles. Hotlicks magazine reported that their April 4, 1975 setlist included: ‘Jean Genie’, ‘Brown Sugar’, ‘Back In The USSR’ and the mash-up ‘Whole Lotta Love’/ ’Teddy Bear’s Picnic’. 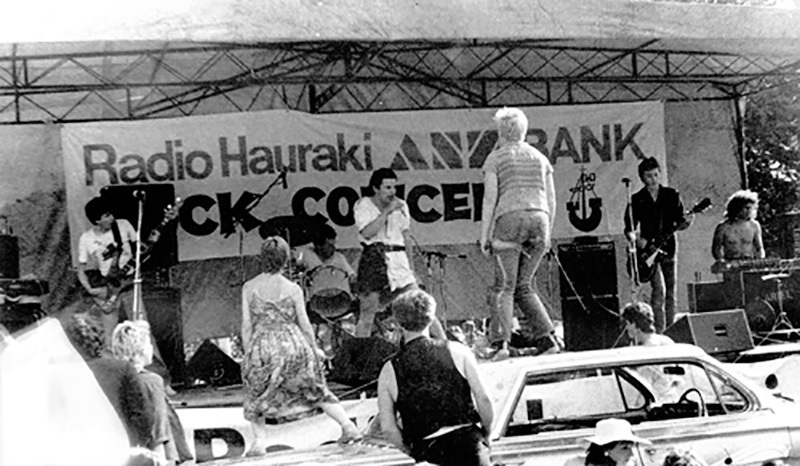 Punks made it on to the Radio Hauraki Albert Park stage in February 1978 with the Suburban Reptiles playing to an audience of stunned-mullet-style hippie faces. There were a few fashionable dancers in front of the stage. 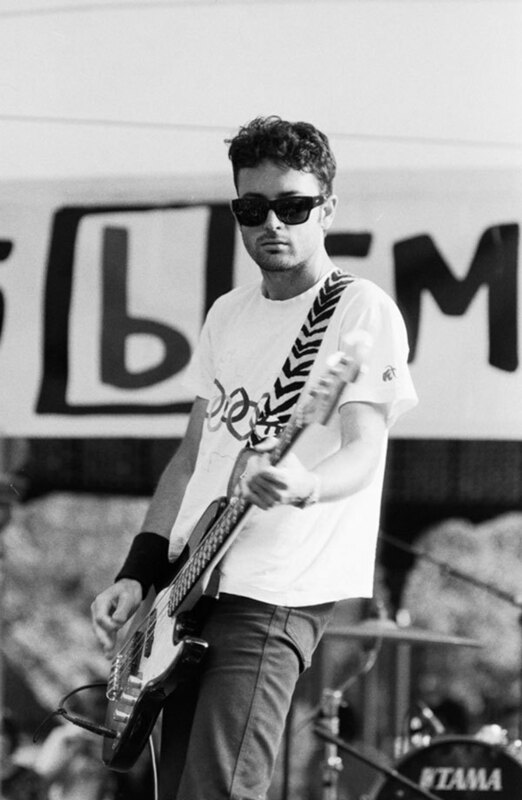 Punk was not on the Radio Hauraki playlist but Barry Jenkin would soon be playing it on his Radio Hauraki evening show. The long-running 95bFM Summer Series outdoor concerts returned to Albert Park in 2014, after taking a year off in 2013 following an underwhelming relocation in 2012 to the tree-free footie field known as Silo Park on Auckland’s waterfront. 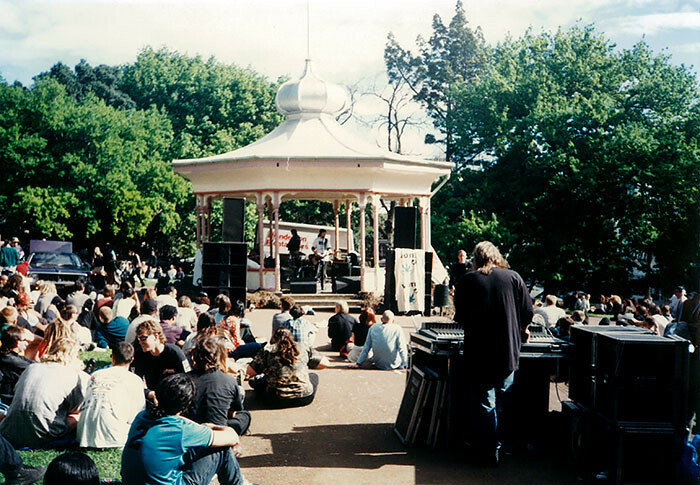 The use of Albert Park in recent decades has been complicated by the fact that the park sits in the CBD where there is a ban on drinking alcohol in public places. As the radio station and its listeners enjoy a beer in the hot summer sun while listening to music, the station seeks an exemption to this law, to sell beer in the shade of the big trees. 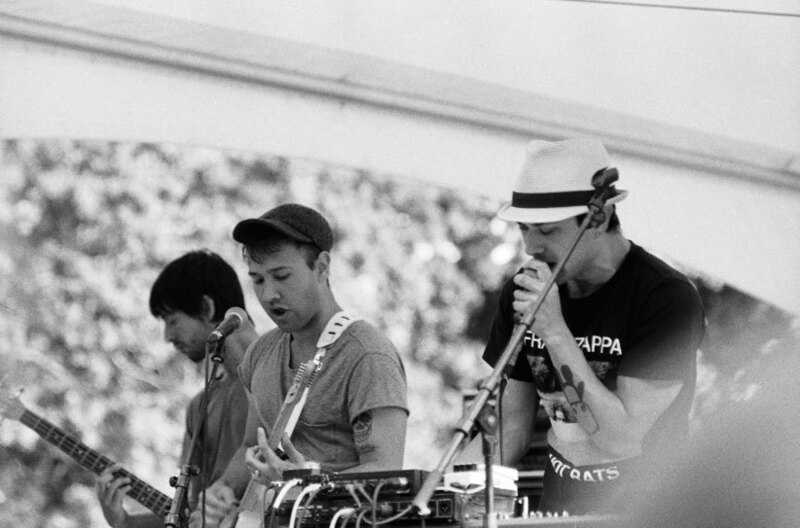 In the 21st Century, musicians to play the Summer Series include The Naked And Famous (2010), The Mint Chicks (2003, 2010), The Checks (2004, 2005), Die! Die! Die! (2011, 2014), Dimmer (2003), The Datsuns (2002), The Phoenix Foundation (2005), The Drab Doo-Riffs (2009, 2011), The Black Seeds (2002), The Hasselhoff Experiment (2002), Connan & the Mockasins (2006), Pine (2005), Voom (2007), Jakob (2005), Goldenhorse (2003), Pan Am (2002) Cassette (2006), Lawrence Arabia (2008), Motocade (2007), Ryan McPhun and The Ruby Suns (2006) and Slim (2002). Funkier stuff and hip-hop to play the park includes Scribe (2008), P-Money Showcase (2002), Dawn Raid (2002), Nathan Haines (2009), Tyra & The Tornadoes (2008), MC Tiki Taane (2008), PNC (2007), Frontline (2006), Savage and Alphrisk (2005), Ill Semantics (2002), Tha Feelstyle (2005), Concord Dawn (2005), Cornerstone Roots (2006), Batucada Sound Machine (2004, 2005) and Rhombus (2003). Summer series repeat offenders include SJD (2002, 2005, 2007), Opensouls (2003, 2006), Sola Rosa (2004, 2006), Minuit (2004, 2006) and returning Mint Chick Kody Nielson with Bic Runga (2011). The Checks and Die! Die! Die! 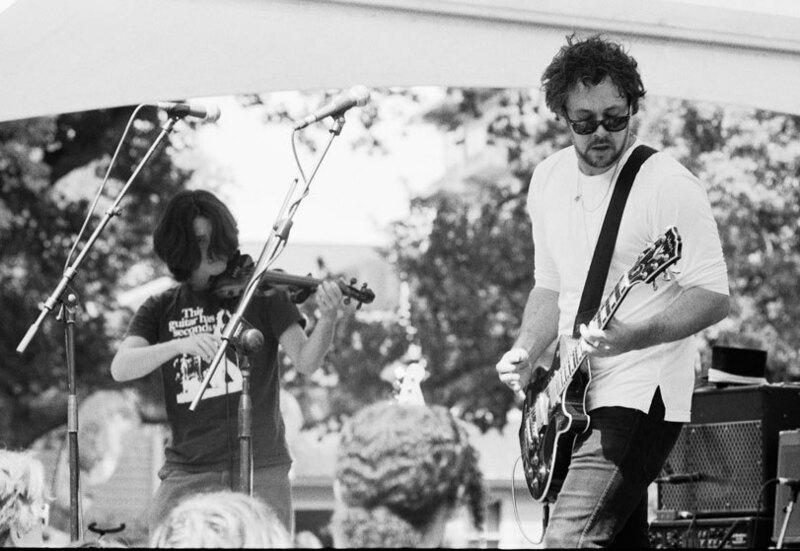 played at three Summer Series concerts, if you include their 2012 performances at Silo Park. 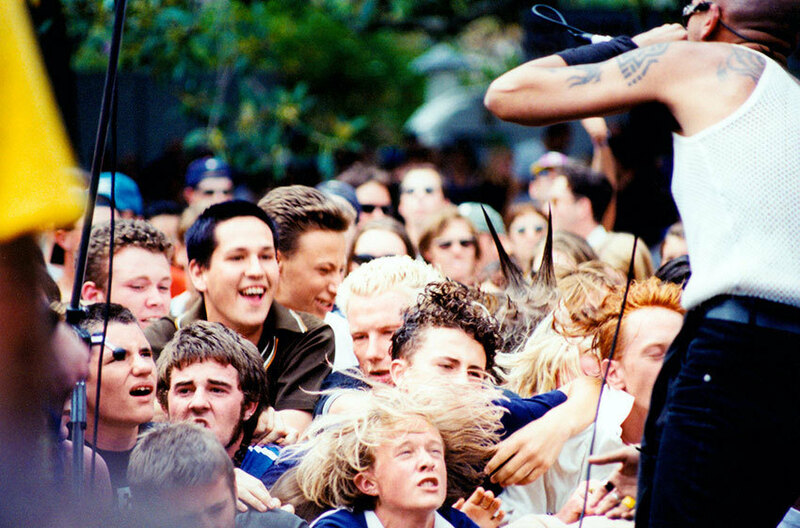 Attendees on stage for 20th Century 95bFM Summer Series concerts include Shihad (1994), Nothing At All! 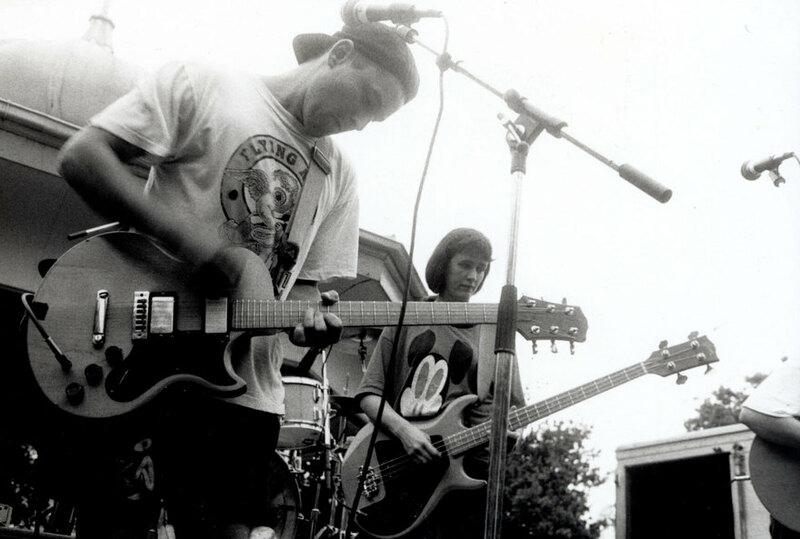 (1996), Chris Knox (1995), Hallelujah Picassos (1995), Urban Disturbance (1995), Garageland (1998, 1995), Able Tasmans (1995), Breast Secreting Cake (1995), Pumpkinhead, Dead Flowers (1998), Mary (1998), Hijack (featuring 3 The Hard Way) (1998), Tufnels (1995) and Future Stupid (1995). Another organisation to bring people and music into Albert Park is NORML with their annual, nationwide “J Day” on the first Saturday of May. The R18 gathering is to promote the legalisation of marijuana and the day usually features music of the reggae persuasion.